It may not look like it, but our purple scarf of Casentino wool has a long history. Back in medieval times, the peasants of the Casentino valley of Tuscany were forbidden by the Florentine wool guild from making fine, finished fabric. So the wool they made for their own use had a nubby texture, which lucky for them, proved to be far warmer and more durable than anything worn by the nobles. Just like lobster and veal, which were once considered lower class foods, Casentino wool is now a luxury product. For three generations, one family has been devoted to keeping alive the traditions of making this uniquely Tuscan fabric. The rough finish is achieved by brushing the wool with metal combs, and the result is exceptionally warm and water resistant. Each purple Casentino wool scarf measures 4.5 inches by 58 inches and features a slit to hold in place. Fits most sizes. 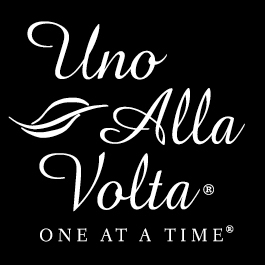 Handcrafted exclusively for Uno Alla Volta, from the hearts and hands of artisans.